In the picture you will see one of my favorite sanding items. 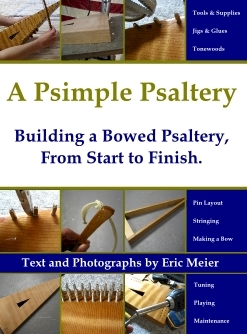 It’s called Abralon, and I use it when I am initially buffing out a bowed psaltery’s finish. 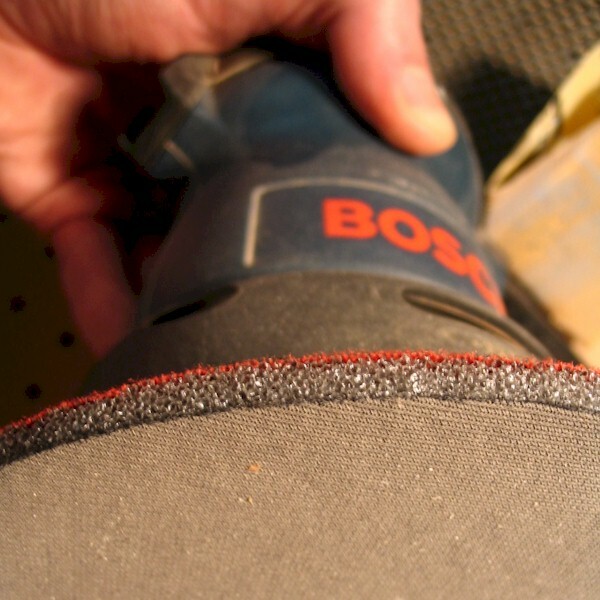 It’s a sanding disc that is basically made out of fabric, with a 1/4″ foam backing. These things are just plain great. Just what’s so great about this thing? Well, for starters, it basically never gets clogged. Ever. Sure, some finish can ball up on the surface, but it can always be blown off by a blast from a air compressor hose, or just by taking it off the sander and beating it between your hands. Secondly, and the most important for me, it allows you to dry-sand a finish all the way up to 4000 grit. (Yes, 4000 grit.) The pad shown in the picture is actually a 4000 grit pad. It is amazing to me that it is possible to sand at this fine of a grit, without a lubricant, and still get a smooth, consistent finish. It sure beats MicroMesh, at least up to 4000 grit. Third, they do seem to last a good long while. While the initial gritty feel to the surface of the disc is quickly lost, it still seems good at cutting long after its first use. About the only downside is that since the pad is so soft, it is not good for leveling. For that I use a regular finish sander with standard sandpaper. But once any drips, sags, or any other surface irregularities are removed, Abralon really excels. Well, the only other downside would be its price. Not exactly cheap at all, but certainly worth it in time saved in the arduous task of finishing the finish, at least for me anyway.